Looking for the best deals on holiday shopping during Cyber Monday? 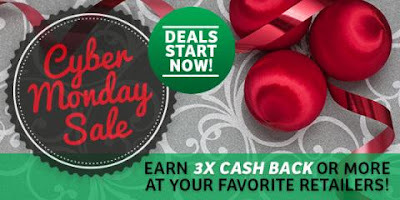 Swagbucks is offering increased cash back from stores like Amazon, Walmart, Best Buy, or Target and get cash back or gift cards to your favorite stores! Swagbucks will also offer amazing one-day deals to try out new products and services, earning you even more free gift cards. This page has everything you need to take advantage of some great "shopportunities" for Cyber Monday! I shopped a little on Cyber Monday. Looking for a great tv deal for Sony for hubby's man cave he is doing but nothing they had he wanted lol I hope you got some good deals!